Unlike multichannel marketing, omnichannel marketing is about giving app users one experience on all (omni) channels. Omnichannel marketing means providing potential customers with an integrated brand experience that is seamless, whether they’re on desktop or mobile phone or in your brick-and-mortar store. Both multichannel and omnichannel marketing use multiple channels to reach potential customers, and at first glance, there doesn’t appear to be much difference between the two approaches. But dig a bit deeper and you’ll see they’re very different when it comes to strategy and execution. 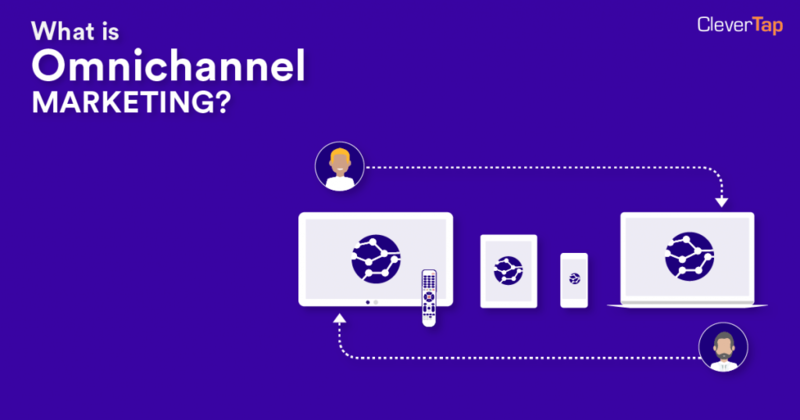 With omnichannel, the focus is on building a stronger brand relationship by ensuring customers receive the same experience and messaging on every single channel and device — and not just with marketing, but across PR, product, customer support, and sales. And it works: companies using a strong omnichannel strategy are retaining 89% of their customers. This 1:00 minute video explains how CleverTap can help you on your omnichannel marketing journey.